Creates and prints custom word search puzzles for education or entertainment. Word Search Printer is an easy to use program that creates and prints custom word search puzzles for education or entertainment purposes. The program includes many options for customizing the puzzles, and includes ready-to-use templates. Customization options include the ability to the puzzle size, word list, directions of words, color, and formatting. You can even make custom shaped puzzles. The program comes with some ready-to-use word lists (including countries, US states, various holidays such as Christmas and Thanksgiving, science topics, and more). You can use any of the ready-to-use games as is, or you can modify them to suit your requirements, or you can create your own custom word search puzzles from scratch. Both create and play attractive wordsearch puzzles. Easy-to-use and powerful. Create word search puzzles. Enter words shape, layout & generate puzzle. Qweas is providing links to Word Search Printer 3.02b as a courtesy, and makes no representations regarding Word Search Printer or any other applications or any information related thereto. Any questions, complaints or claims regarding this application Word Search Printer 3.02b must be directed to the appropriate software vendor. 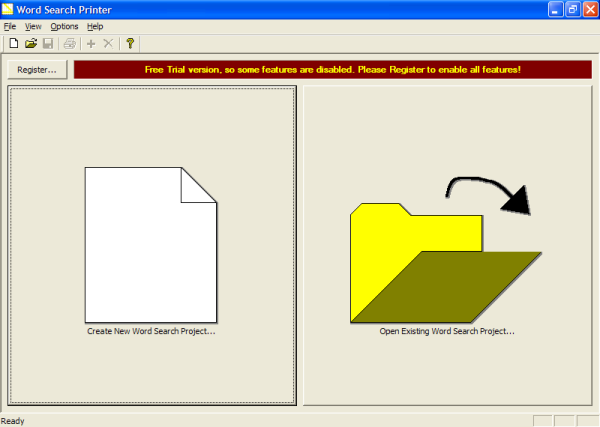 You may click the publisher link of Word Search Printer on the top of this page to get more details about the vendor.